2) Stop Clock Rule: In the LAST Minute of the game, the clock 'Toggles' in/out of Stop-Time based on a 6pt (Stop Clock) / 7pt (Run Clock) point differential. 3) Monday Spring 1 2019: Your team will play 8 games over 7 weeks as our dates for Mon Spring 1 2019 are: Apr 8, 15, 22, 29, May 6, 13, 20th. We have some amazing matchups- for you- on 1 off-day per season. Imagine your perfect matchup- a 5 point game- against a team you have never played against. By playing 1 off-day per season, you will get that great game. And in fact, because the other leagues will be (playing on an off-day, too)- you will get another great matchup. So our off-day program will possibly give you 2 new teams to play a close game against! Its all about VARIETY and PARITY. If your a Masters Team, you will get to play another Masters team from another day, if your an A team, you get an A team from another day. That all being said, we realize that your time/days are valuable and spoken for-- so we want to give you advance notice of this off-day. 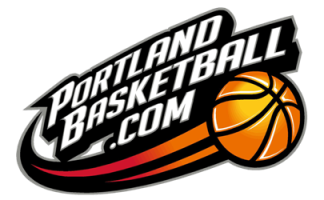 There are 3 championships per year; here is how we define our seasons/championships: PortlandBasketball.com will have a Fall, Winter & Spring Championship Tournament. There is NO summer tournament. Fall is the tournament for the teams who play both Fall1 and Fall2... Winter Tournament is for teams playing Winter1 and Winter2. Spring Tournament is for teams playing Spring1 and Spring2. Summer- we will have rankings but no tournament. Awards: you get a be known as the Champions and you got to play 1 free game (the Championship game is an extra/bonus game). To qualify- requirement #1: you must have played in both seasons of that 'seasonal name' (example for 'Spring' you must have played in Spring1 and Spring2). Exception: for teams that joined late, you do have the option to 'pay for extra games' (play on off- days or pick up double-headers) as long as you get to 12 games (one week prior to the playoff date). To qualify- requirement #2: you must finish in the top 4 rankings in your skill level within the day that you are playing. To qualify- requirement #3: you must be a team with matching jersey colors (every week) AND AS WELL you must have paid on time (restated- we will not put teams in the tournament that we had to spend a lot of time chasing money- our payment rules are very lenient as they are now, so if you go beyond those terms, your team will not be eligible for playoffs). To quality- requirement #4: if your team caused a game to end early (for a variety of reasons such as unsportsmanlike conduct, harassment of referees, a dirty foul at the end of a game and/or too many technical fouls), your team will not be eligible to partake in the playoffs. Legal defensive position is that you are square (in front of) opponent prior to their final step of the move/shot. After the 'moment' of being in front and in 'legal guarding position'- you can be moving backward and/or jumping up and contact should be legal, as seen in this video; in fact, if you are in front and displaced, it can be a charge call. This play could have been a no-call as the contact seems very incidental ('incidental' meaning- the contact did not create an unfair advantage for the person being contacted). This video seems to show a defender flopping, not a defender displaced by contact and therefore this could just as easily be a 'no-call' from the referee as the contact was incidental. Defense gets to position prior to final step of offensive player- thus, the contact is going to be a no call or an offensive foul (offensive foul if the offensive player then displaces/dislodges the defender). This is a no-call because the defense is there. Restated - contact is legal if the defense is there first. This could be a no-call as the contact is not creating a disadvantage and trained referees know that a foul requires three things: 1) illegal position with 2) contact and 3) a disadvantage created and as the ball goes in pretty easily in this video, it kind of makes the argument that there was not really a disadvantage created. This looks like a good call (a defensive foul). Plus if you think about it- a defender really should be 'defending'- not setting up for flops. A defender is a player trying to legally impede an offensive player from scoring- but the guy in the video is not trying to prevent scoring as much as he is trying to 'work the referees'. PortlandBasketball.Com encourages players and referees to watch this video. There are 10 explanations of fouls vs 'no calls' vs charges in this training video. If defender gets "in front of" an offensive player prior to that offensive player's final step of his move/shot, than that defender is entitled to (law of verticality) to the space behind him and 'to the ceiling'; in other words the defender can jump straight up (but- proof of jumping straight up- is that defender landed close to the same spot on floor when coming down). Important- for safety- to understand this concept of jumping straight up as opposed to jumping outward. All players in PortlandBasketball.com, for safety reasons, need to watch this video explanation of the law of verticality and how it relates to safety- thank you.